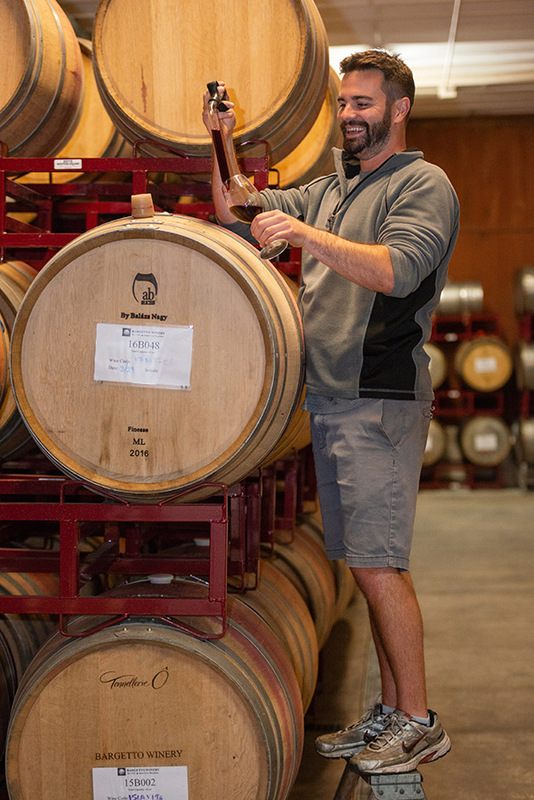 A California native, raised in Los Altos, BARGETTO Winemaker Bobby Graviano attended Cal Poly San Luis Obispo, where it was quickly determined he wanted to pursue a career in wine making. Bobby earned a B.S. in Wine and Viticulture, with a concentration in Enology, minored in Spanish, and graduated in 2010. During college Bobby interned at Testarossa Winery in Los Gatos, and after graduating, he became the Production Assistant, working in both the cellars and the lab. During his tenure, Bobby was granted a leave of absence to spend a harvest abroad in the Southern Hemisphere. He worked for the Gilbert Family Wine Company in Mudgee, Australia, leading the cellar team for the 2013 harvest. Not long after his return to California, Bobby joined BARGETTO WINERY as Assistant Winemaker, and 3 years later, assumed the role of Winemaker. The upcoming 2017 vintage will mark Bobby’s 4th Bargetto harvest and 11th in his young career. Bobby has a fondness for Pinot Noir and Chardonnay, and is delighted to be producing wine in the Santa Cruz Mountains, where these varietals thrive. He welcomes each harvest as if it is his first, eager to explore the possibilities the grapes have to offer.